Introducing a cutting-edge business smartphone that delivers the built-in simplicity, customization and mobile security for your organization to stay ahead. Control updates over the air to keep employees secure and productive. Remotely provision and customize the experience right out of the box. Protect data from the chip up with defense-grade mobile security plus enterprise support, and integrate with leading enterprise mobility management (EMM) solutions. 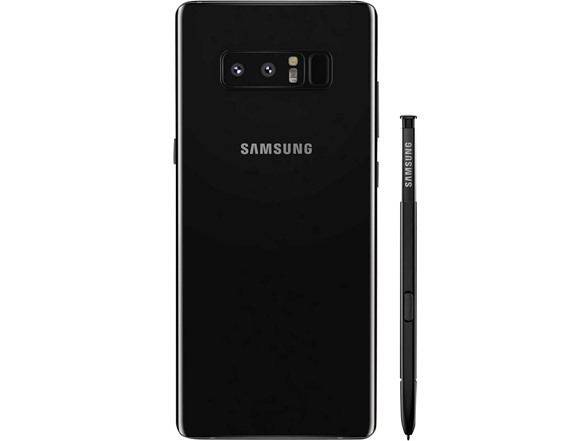 Enterprise firmware over-the-air (E-FOTA) updates with the Galaxy Note8 Enterprise Edition give you complete control. It lets you schedule updates to your organization’s unlocked devices, so they always have the right firmware and software. With E-FOTA your team’s devices are always compatible with your company’s solutions and every device stays a secure one. Knox Configure is a cloud-based tool that allows you to get out of the box quicker. 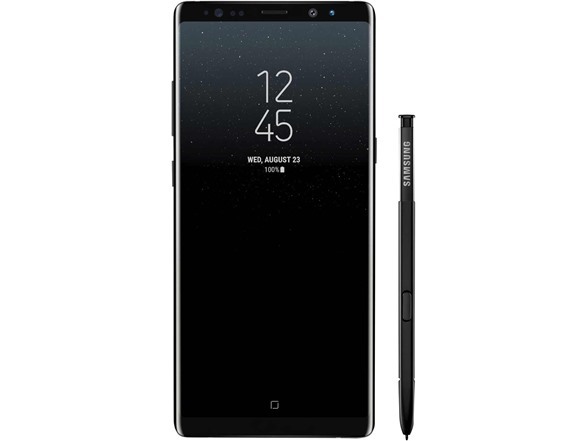 Remotely provision and configure one or many of your Galaxy Note8 Enterprise Edition devices while skipping unnecessary setup screens. It also allows you to install the right applications, control fine grain device settings and apply company branding for a custom experience. 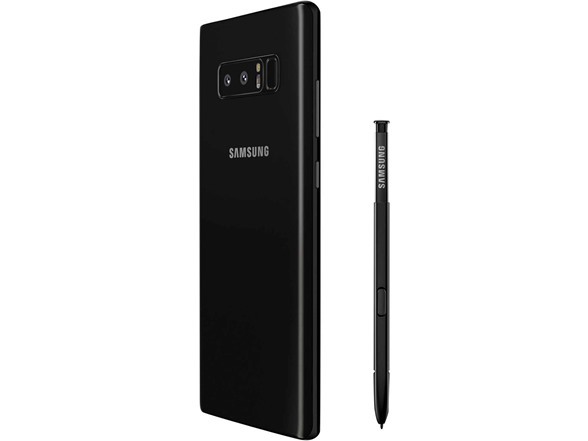 The unlocked Note8 Enterprise Edition has no pre-loaded carrier apps, so your organization can deliver a more predictable and consistent experience across devices and have greater freedom to customize device software. Samsung Knox is a customizable security platform built from the chip up for superior protection and easy manageability. Trusted by 29 governments, Knox keeps hackers out and your organization’s data safe from the second your employees turn on their devices. 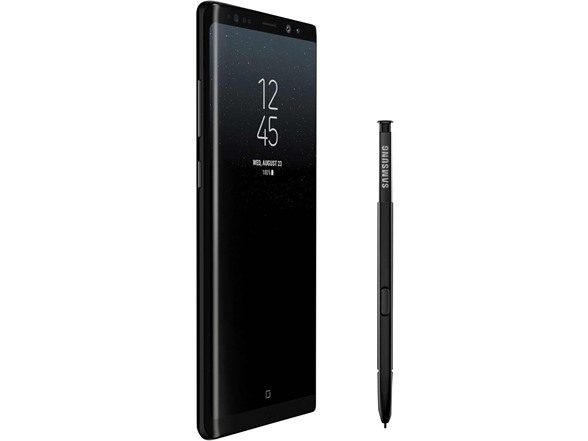 The Galaxy Note8 Enterprise Edition keeps your team and your company secure, with regular monthly updates for up to 3 years after market availability. It’s simply all you need for data security. Fit more in our largest Infinity Display and give your employees more screen to work with and less phone to hold with an 83% screen-to-body ratio. Plus, get bright, sharp, true-to-life color with the Mobile HDR Premium-certified Super AMOLED display that gives your team a cinema-quality screen in their hands. Equip your team with the powerful, built-in S Pen. It lets you take notes without unlocking the screen, handwrite messages and mark-up PDFs. 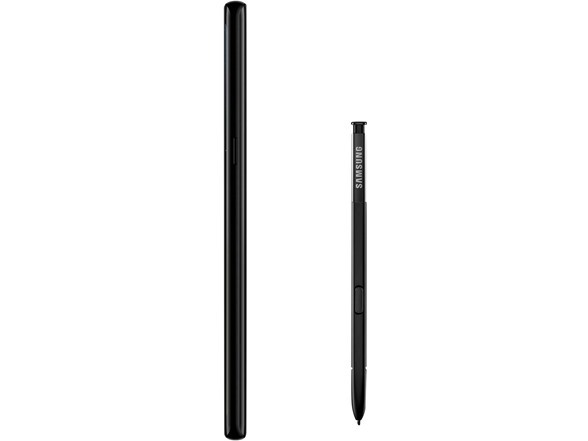 Designed to write and feel more like a real pen, your employees will have precise control. Advanced iris scanning lets employees unlock the device or the Knox container with just a simple look. It recognizes the unique patterns in their irises that are virtually impossible to replicate, making it one of the most secure and reliable biometric techniques available. Whether your team needs to shoot in the dark or from a distance, photos are clear with less blur on the world’s first Dual Camera with Optical Image Stabilization on both lenses. And they can get even more control by switching to Pro Mode for all the options you’d expect from a DSLR. With an IP68 Rating, the Galaxy Note8 is water- and dust-resistant so your team can use it worry-free, anywhere. Employees can work keep going and get more done with the All Day Battery. Plus, they can power up quickly with the Fast Wireless Charger and charge without plugging in. Get up to 4x the storage with a 256GB MicroSD card, so your employees never run out of room for files, photos and videos. Your employees don’t need to worry about the number of apps they have open. The 10nm processor and 6GB RAM will keep them running at top speed. When business demands maximum processing power, they’re already there.